When I think of downtown Harrisburg, I think of the exquisite State Capitol and and the powerful Susquehanna River. I can’t say that specialty coffee immediately comes to mind. However, my past couple trips to the city involving visits to Little Amps Coffee Roasters have begun to change my perception of Pennsylvania’s state capitol. 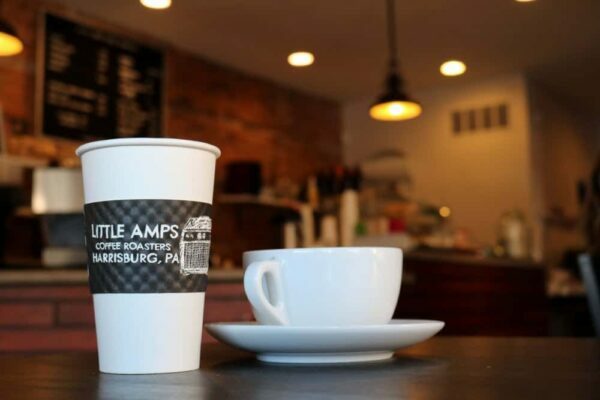 Little Amps is one of a select number of coffee shops in downtown Harrisburg. 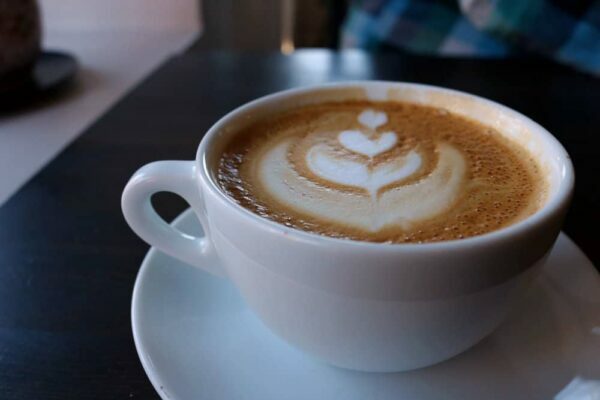 The coffee company serves its carefully sourced and self-roasted beverages at locations in Olde Uptown, Downtown, and Strawberry Square. 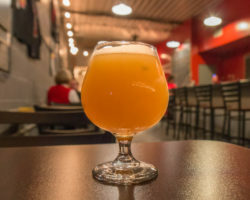 Little Amps’ Olde Uptown location sits at the quiet intersection of Green and Muench Streets in Harrisburg. With free street parking as an incentive, I have made several visits to Little Amps’ inaugural location in Olde Uptown. 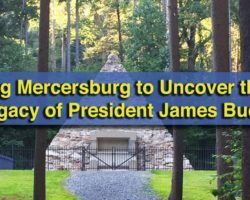 This neighborhoodly destination, which opened in 2011, sits amidst homes and low speed limits that remind me more of my small town roots than one of the most influential cities in Pennsylvania. But upon entering the cafe on Green Street, I was delightfully ambushed by an atmosphere that is uniquely Little Amps. 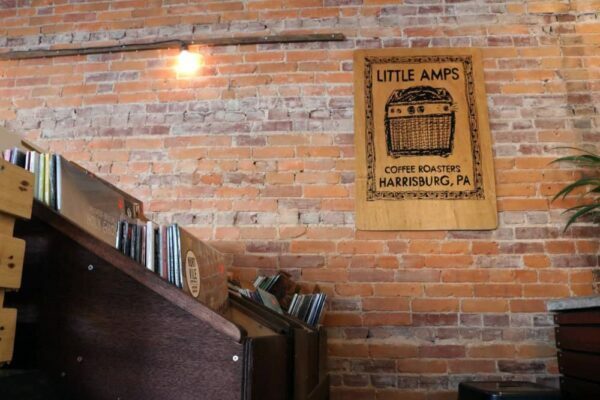 The warm decor in Little Amps lets the coffee and music do the talking. Little Amps takes two things very seriously: coffee and music. The company’s passion for coffee comes to life through artful latte creations, knowledgeable baristas, and constantly rotating blends. The micro coffee roaster carefully sources beans from Ethiopia, Kenya, Honduras, and other locations around the world before roasting them right in Harrisburg. A beverage-heavy menu reflects this dedication, as Little Amps focuses on hot and cold coffees and teas. For those who would prefer to not drink on an empty stomach, a couple baked good options sit enticingly near the checkout counter. However, those who are truly hungry should fill up with a more hearty meal before or after a stop at this cafe. 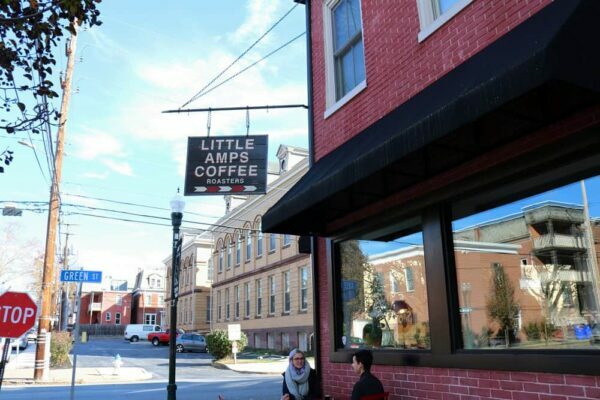 Grab a cup of joe for the road or linger over a latte at Little Amps. Little Amps’ charm doesn’t stop with the coffee, though. As suggested by its name, this cafe also celebrates music and strives to display it respectfully. On any given day, you can stop by the coffee shop to browse Little Amps’ small but carefully curated collection of vinyl records. Album covers double as decoration and sale items. I’ve been told that the cafe’s background music comes live from those records, as opposed to a random coffeehouse playlist. The cafe space also hosts small musicians throughout the year for intimate concerts. Be sure to browse Little Amps’ collection of new and used vinyl records. 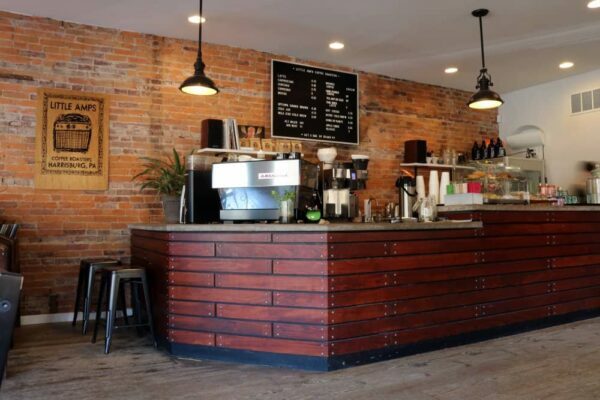 These two passions, for coffee and music, come together in beautiful harmony at Little Amps’ Green Street location. 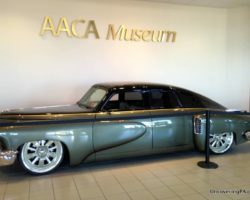 The focus on these two elements encourages customers such as myself to linger, whether that be over a cup of coffee, to catch up with a friend, or to work on business. During my visits, the cafe seems to be equally enjoyed by business people grabbing a caffeinated drink on the go and hipster types looking for a great conversation over a great cup of joe. The customers and employees mingle in a wonderful way at Little Amps, in a way unlike anything I’ve ever experienced. Off-duty baristas stop in for a chat. On-duty baristas blend in during breaks at one of the cafe tables. Customers sit up at the bar overlooking the counter to crack jokes with the baristas. 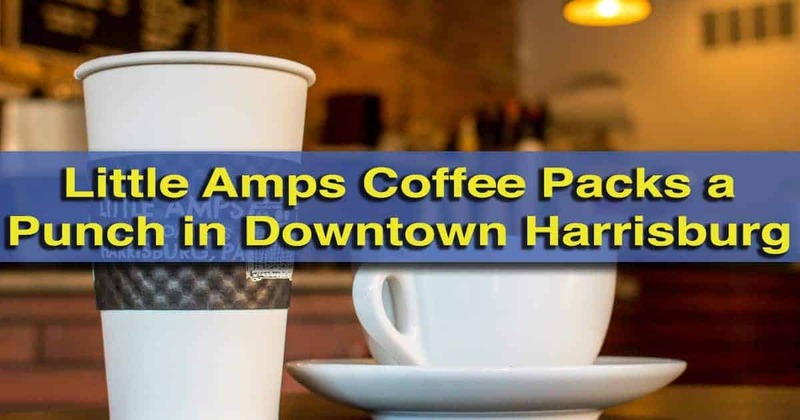 Enjoy the carefully sourced, roasted, and brewed beverages that Little Amps brings to Harrisburg. Overall, this cafe is serious about its craft but relaxed in its atmosphere. And that atmosphere lends itself to a wide variety of patrons with varying passions for caffeinated beverages and the vinyl records. 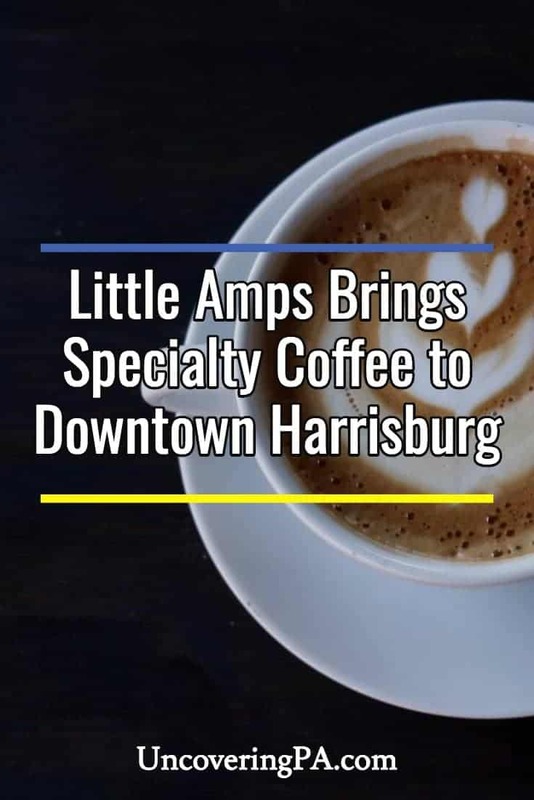 Thus, the team at Little Amps gives the people of Harrisburg a chance to experience the complexity and beauty of both coffee and music. 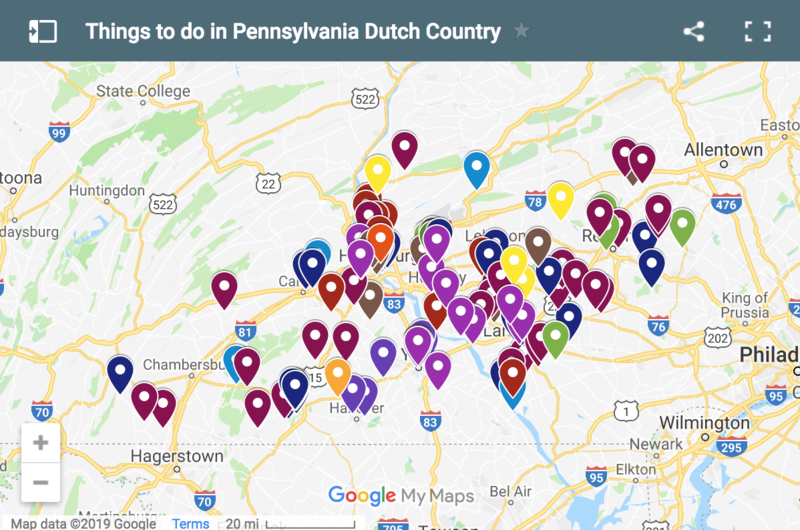 If you love coffee, don’t miss our top picks for the best coffee shops in Lancaster, PA. Picks include Passenger Coffee and Mean Cup Coffee. Great article, I really enjoy Little Amps and you nailed it. However, you should also visit Alvaro’s Bakery on your next visit, which is just a block before the Little Amp’s Olde Uptown location. They have great bread and baked goods, but their sandwiches, entrees, and pizza may be even better. 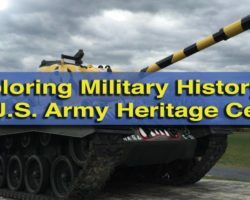 Worth a look for sure if you’re nearby. Alvaro’s Bakery is amazing. I only had a chance to eat there once, but it’s definitely somewhere I highly recommend.